My scientific career began at the Department of Psychology at the Saarland University, Germany, where I received my diploma in 2005. My diploma thesis was on memory skill maintenance across the life span in children and young adults, under supervision of Prof. Ulman Lindenberger. I received my PhD at the University Hospital RWTH Aachen, Germany, with a thesis on memory effects of speech and gesture binding. In 2008 I started my first post-doc position with Prof. Anjan Chatterjee at the University of Pennsylvania. In 2009 I joined the workgroup of Prof. Tilo Kircher in Marburg, as a Post-Doc. In 2014, I finished my habilitation in Experimental Neuroscience at the Philipps-University Marburg with a comprehensive work on the neural correlates of action perception and multisensory integration in healthy subjects and schizophrenia patients.In May 2016 my application for a Heisenberg-Professorship was accepted. In September 2016 I was appointed to a Professor of Translational Neuroimaging in Marburg. As Professor for Translational Neuroimaging it is my aim to fill the need for translating basic research from experimental psychology and neuroimaging to clinical investigations in patients with mental disorders, in particular schizophrenia and anxiety disorders. 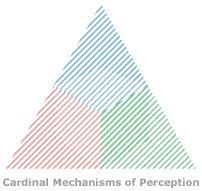 In general, I’m interested in predictive neural mechanisms in a multisensory environment as well as adaptive behavior reflected in learning, memory and neuro-functional plasticity (e.g., in context of psychotherapy). My research is focused on three overarching themes that are investigated in the TNM-Lab, namely 1) the neural correlates of action-perception circuits, 2) dysfunctional multisensory integration and 3) the aberrant functional connectivity as general pathophysiological mechanism.